Hanoi (VNA) — The Hanoi Stock Exchange (HNX) recently issued a stock classification code on the Unlisted Public Company Market (UPCoM), in order to help investors keep closer watch on existing companies’ owners’ equity and prepare to categorise a large number of goods to be released into the market soon. Classification rules on the UPCoM will categorise registered stocks into three categories, except for stocks on the Investors Warning list. 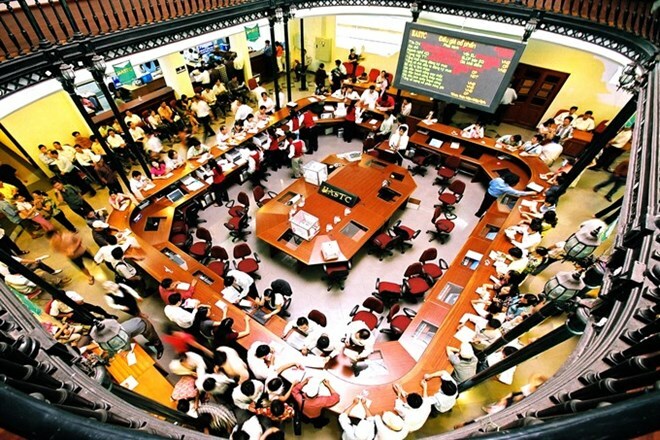 Under the system, stocks issued by companies or organisations with a registered owner’s equity of more than 1 trillion VND (44.67 million USD) will belong to the UPCoM Large category, while stocks from those with 300 billion VND (13.4 million USD) to 1 trillion VND in equity will be classified as UPCoM Medium. The UPCoM Small is for those from 10 billion VND (446,747 USD) to below 300 million VND. These lists will be displayed on the live screens at the HNX’s headquarter in Hanoi and will be reviewed and updated on an annual basis. There are exceptions for stocks whose companies fail to meet the required level of capital, stocks being replaced by another or exchanged between lists. UPCoM classification, based on levels of current capital, will sort registered companies’ stocks into their respective list according to the company’s owner’s equity, which will be calculated from the closest balance sheet stated in the latest audited and published financial report. In case the registered organisation is the mother company of another firm or is a firm with non-legal entity subsidiaries, owner’s equity will simply be based on audited financial reports. The new classification rule will replace the UPCoM Premium currently being used, and the official list of categorised stocks will be published by the HNX on June 24, 2017 on the occasion of the UPCoM’s eighth year in operation. For the first five months of 2017, 125 businesses have been newly listed on the UPCoM, with an average of 10.74 million shares being traded each session, amounting to 202.9 billion VND (9.06 million USD). This marks a 10.2 per cent increase in terms of quantity traded and 62.4 percent in terms of quality compared to the same period in 2016.